IF you remain in any doubt about the entertainment value of recent provincial finals, then here are a few eye-opening statistics that will put your ill notions into their grave. 1) In the whole of the 1990s, only three of the 40 provincial finals ended with a 10+ point gap for the victors. There have been three this year alone. 2) 15 of the 36 provincial finals since 2010 have ended with the sides separated by 10 points or more. That’s the same number as the previous 30 years combined. 3) The average winning margin in a provincial final this decade is exactly nine points. It was less than half that (4.4) in the 1990s. 4) There have been only two finals this decade settled by a single point, and two draws. 5) Only 12 finals since the beginning of 2010 have been decided by three points or less, of which only two have occurred since 2015. That compares with 22 in the decade previous. Galway’s four point margin over Roscommon this summer is the only misleading one, given that they were level heading into injury-time. The other three were as one-sided and uncompetitive as they seemed. But why would we be surprised by that? Three Division One teams hammering teams from the lower reaches of Division Two (Cork), the top end of Division Three (Fermanagh) and the top of Division Four (Laois) ought not to cause the raising of eyebrows, yet it has. And yet what we’re witnessing now is ironically not the fault of declining standards, but rather the fruits of vastly improved coaching. The game may not be as attractive as it once was, but that’s not to be confused with the idea that it’s actually worsening in quality. Despite attempts to airbrush the entire current generation of footballers as middle-distance runners who can hardly kick a ball straight, every piece of evidence we have shows notably higher scores and a wider spread of scorers than in any era that’s gone before. After the Donegal counter-attacking masterclass of 2012, where it seemed the only way to beat the blanket was to mimic it (see Kerry 2014), the game has moved on. We’re now in the era where basketball coaching has had a major impact in shaping the style of attacking we now see. Jim Gavin brought renowned coach Mark Ingle in during the 2015 season and in the time that has passed since, they’ve learned to unpick even a defence loaded with 15 bodies in front of its own goal. Dublin set the trend and others followed. Themselves, Mayo, Kerry and Donegal no longer fear a team setting up so deep. In fact, it almost suits them to know they won’t be quite so troubled at the other end as they might be if they’re meeting a team that will have a cut. By bringing width to their game, mixing it with the timing and pace of runs from all sorts of angles, they’ve shown that there is a very effective way to unpick even the most rigid defensive setup. It’s not because Fermanagh or Cork or Laois or Roscommon were poorly coached. It’s just that, in the art of attacking, the better sides are so exceptionally well schooled now. For all the criticism of modern football and its footballers, this was the third straight year that the record for the highest average score per game by a team in Ulster was beaten. Donegal’s record-breaking 8-76 (an average of 2-19) is astonishingly consistent given that they had to come from the preliminary round in the shortest window Ulster’s even been run off in. Dublin have hit 7-75 in three games. Kerry racked up 3-50 in just two outings in Munster. Galway notched 5-52 en route to the Connacht title. That is serious scoring on all four fronts and it is no accident. There is logic in trying to limit the opposition and it will always remain a viable gameplan for those with a limited attacking arsenal, such as Fermanagh. 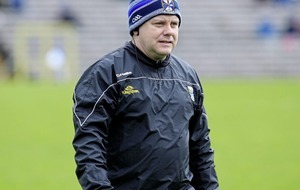 On occasion, the chips will fall into place, as they did for the Ernemen against Monaghan. What’s the alternative? To go out man-for-man and take repeated hammerings? If Fermanagh hadn’t played as they have, they wouldn’t have beaten Armagh, far less Monaghan. The gap is widening between top and bottom not because the lesser sides are getting worse, but because the best are getting better and the rest simply can’t keep up with their rate of progression. And therein lies the problem with trying to stop the hammerings. The provincial structure is imbalanced and there should be a geographical redrawing of borders to leave each province with eight teams, but thereafter, leave it alone. The oft-suggested idea is for a Champions League system with eight groups of four. You’d naturally assume they’d be seeded and each group would contain a county from each division of the National Football League. How would that produce results that are any different from what we’re getting now? Would Dublin or Kerry or Mayo be unduly troubled by any of the other three teams in their group? Would their championships start any earlier than the All-Ireland quarter-finals? No is the simple answer. And to disband the provincial championships would take away that hope that all counties carry. 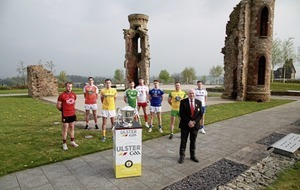 Would Donegal be in the haze of success they are now if they didn’t have the short-term yearning for an Ulster title to keep them going through the cold winters between 1992 and 2011? All you had to do was take a walk through the streets of Clones on Sunday to see what the mere prospect of success can do for someone outside the top band. 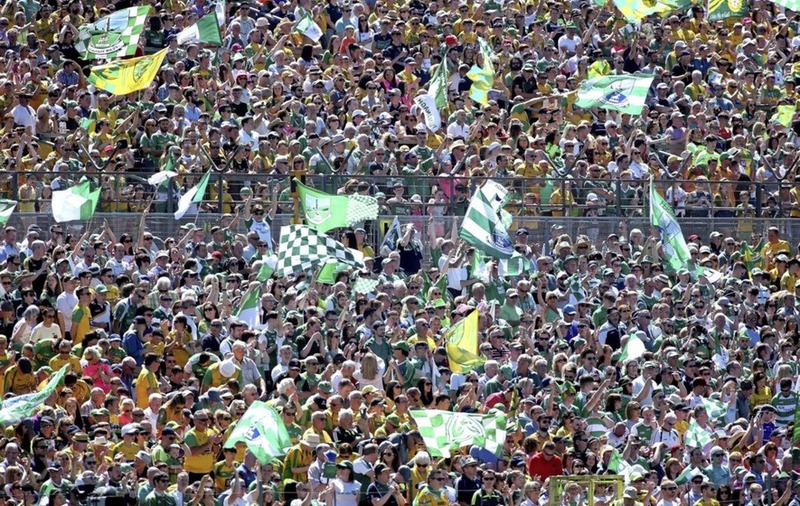 The place was a sea of giddy Fermanagh green beforehand as they brought an unprecedented level of support. It’s alright to offer Fermanagh a second-tier competition that they might win, but the idea of winning it has to mean something. It has to excite players and supporters alike. The provincial championships are not perfect – but nor are any of the proposed solutions. And change for the sake of change is not the answer.